Irving is a principal city in Dallas County in the U.S. state of Texas and it is also an inner ring suburb of the city of Dallas. According to a 2017 estimate from the United States Census Bureau, the city population was 240,373 making it the thirteenth-most populous city in Texas and 93rd most populous city in the U.S. The city of Irving is part of the Dallas–Fort Worth metroplex. Part of Dallas/Fort Worth International Airport lies inside the city limits of Irving. Irving was founded in 1903 by J.O. "Otto" Schulze and Otis Brown. It is believed literary author Washington Irving was a favorite of Netta Barcus Brown, and consequently the name of the town site, Irving, was chosen. Irving began in 1889 as an area called Gorbit, and in 1894 the name changed to Kit. Irving was incorporated April 14, 1914, with Otis Brown as the first mayor. By the late nineteenth century the Irving area was the site of churches, two cotton gins, a blacksmith shop and a general store. The Irving district public school system dates to the 1909 establishment of Kit and Lively schools. Population growth was slow and sometimes halting, with only 357 residents in 1925, but a significant increase began in the 1930s. Irving's population reached 155,037 in 1990 and the United States Census Bureau estimated 236,607 residents in 2016, a 3.5 percent population increase over 2013 census estimates. In 2000, an Oshman's Sporting Goods store was robbed by the "Texas Seven". In 2011, the Irving Convention Center at Las Colinas opened. Four years later high-school student Ahmed Mohamed was the subject of a hoax bomb incident which ignited allegations of racial profiling and Islamophobia from many media and commentators. According to the United States Census Bureau, the city has a total area of 67.7 square miles (175 km2), of which 67.2 square miles (174 km2) of it is land and 0.4 square miles (1.0 km2) of it (0.65%) is water. The warmest month on average is July, and the highest recorded temperature was 112 °F (44 °C) in 1980. The average coolest month is January, and the lowest recorded temperature was −8 °F (−22 °C) in 1899. Irving is considered to be part of the humid subtropical region. As of the census of 2000, there were 191,615 people, 76,241 households, and 46,202 families residing in the city. The population density was 2,850.2 people per square mile (1,100.4/km²). There were 80,293 housing units at an average density of 1,194.3 per square mile (461.1/km²). The racial makeup of the city was 64.2% White, Hispanic or Latino of any race were 31.2% of the population, 10.2% African American, 0.7% Native American, 8.24% Asian, 0.13% Pacific Islander, 13.4% from other races, and 3.20% from two or more races. Non-Hispanic whites were 48.2% of the population, down from 88.9% in 1980. There were 76,241 households out of which 31.3% had children under the age of 18 living with them, 44.1% were married couples living together, 11.2% had a female householder with no husband present, and 39.4% were non-families. 31.3% of all households were made up of individuals and 3.8% had someone living alone who was 65 years of age or older. The average household size was 2.50 and the average family size was 3.19. In the city, the population was spread out with 25.2% under the age of 18, 11.9% from 18 to 24, 39.4% from 25 to 44, 17.4% from 45 to 64, and 6.1% who were 65 years of age or older. The median age was 30 years. For every 100 females, there were 104.0 males. For every 100 females age 18 and over, there were 102.9 males. The median income for a household in the city was $44,956, and the median income for a family was $50,172. Males had a median income of $35,852 versus $30,420 for females. The per capita income for the city was $23,419. About 8.0% of families and 10.6% of the population were below the poverty line, including 14.2% of those under age 18 and 6.3% of those age 65 or over. As of the census of 2010, there were 216,290 people, 82,538 households, and 51,594 families residing in the city. The population density was 3,218.6 people per square mile (1,242.1/km²). There were 91,128 housing units at an average density of 1,356 per square mile (523.3/km²). The racial makeup of the city was 53.1% White (30.8% Non-Hispanic white), 12.3% African American, 0.9% Native American, 14.0% Asian, 0.1% Pacific Islander, 16.2% from other races, and 3.5% from two or more races. Hispanic or Latino of any race were 41.1% of the population. There were 82,538 households out of which 33.4% had children under the age of 18 living with them, 43.1% were married couples living together, 13.6% had a female householder with no husband present, and 37.5% were non-families. 30.1% of all households were made up of individuals and 4.5% had someone living alone who was 65 years of age or older. The average household size was 2.61 and the average family size was 3.31. In the city, 29% of the population was under the age of 19, 8% was between ages 20 to 24, 35.8% from 25 to 44, 20.3% from 45 to 64, and 6.9% were 65 years of age or older. The median age was 31.3 years. For every 100 females, there were 99.9 males. For every 100 females age 18 and over, there were 98.6 males. The 2012 median income for a household in the city was $49,303, and the median income for a family was $54,755. Males had an estimated median income of $40,986 versus $36,518 for females. The per capita income for the city was $26,970. About 13.2% of families and 16.2% of the population were below the poverty line, including 24.5% of those under age 18 and 9.4% of those age 65 or over. As of 2007, about 33% of Irving's population was not born in the United States. Several large businesses have headquarters in Irving, including Caliber Home Loans, Chuck E. Cheese's, Cicis, Commercial Metals, Envoy Air (formerly American Eagle), ExxonMobil, Gruma, H.D. Vest, Kimberly-Clark, La Quinta Inns and Suites, Michaels Stores, 7-Eleven,Southern Star Concrete, Inc., Stellar, a global contact center provider, Zale Corporation, Fluor Corporation, NCH Corporation, ITW Polymers Sealants North America, Celanese Corporation, a leading producer of specialty chemicals, and LXI Enterprise Storage. The city is also home to the national headquarters of the Boy Scouts of America. The headquarters of Nokia America and NEC Corporation of America are in Irving. The American headquarters of BlackBerry was in Irving. Perhaps as a result of the Nokia-Irving connection, Irving is twinned with Nokia's headquarters city, Espoo in Finland. Irving is also the Headquarters of OSG USA INC., which is the North American Subsidiary of OSG Corporation in Japan. OSG is a leading provider of high end cutting tools used in industries such as automotive and aerospace. Irving was the home of Texas Stadium, the former home stadium of the Dallas Cowboys. The stadium was demolished on April 11, 2010. Irving Independent School District (IISD) high schools play football and other sports at Irving Schools Stadium. In the spring, the Four Seasons Resort and Club Dallas at Las Colinas hosts the Byron Nelson Championship, an annual PGA Tour golf tournament. The Las Colinas Country Club hosts the LPGA Tour's Volunteers of America Texas Shootout each spring as well. Irving serves as the headquarters city for two college athletics conferences: the Big 12 Conference and Conference USA. Prior to the November 2008 elections, Irving banned the sale of alcoholic beverages in stores, making it the largest in population dry suburb in North Texas. In 2004 the pro-alcohol measure failed with 63% of voters opposing the measure. In 2006, 52% voted against the measure. On the third attempt, with heavy monetary backing by retailers, voters narrowly voted in favor of the measure in 2008. People in favor of changing Irving's liquor laws saw the interest in the 2008 United States Presidential Election as a catalyst for changing the laws in their favor. In 2009 Irving had a city council that was entirely at-large. While Irving has a large population of racial minorities, the entire city council and the mayor's office, was entirely non-Hispanic White. Manny Benavidez, a resident of Irving, filed a lawsuit against the city in federal court in November 2007, saying that the voting system was not in compliance with the 1965 Voting Rights Act. On July 15, 2009, a federal judge ruled that Irving is required to create a new electoral system so that racial minority representatives may be voted into office. In 2010 elections, which included one at-large seat and two district-seats, three new council members were elected, replacing two incumbents and adding a newly created seat. Among the three new council members were two minority council members. The city of Irving is a voluntary member of the North Central Texas Council of Governments association, the purpose of which is to coordinate individual and collective local governments and facilitate regional solutions, eliminate unnecessary duplication, and enable joint decisions. The Parkland Health & Hospital System (Dallas County Hospital District) operates the Irving Health Center. The United States Postal Service operates post offices in Irving. The Irving Main Post Office is at 2701 West Irving Boulevard. Other post offices in the city include Central Irving, Las Colinas, and Valley Ranch. The Irving Independent School District (IISD) serves most of Irving. Other areas are served by the Carrollton-Farmers Branch Independent School District (CFBISD), and Coppell Independent School District (CISD). In 2014, 3,821 of CFBISD's 26,239 students resided in Irving. Uplift Education, a charter school operator, has its administrative offices in Irving. Uplift has two charter school campuses in Irving: Infinity Preparatory (K-5, 6-8, and 9-10, with a plan to build out to K-12) and North Hills Preparatory (K-12). Winfree Academy Charter School and Manara Academy Elementary are in Irving. Irving is home to Cistercian Preparatory School, a university-preparatory school for boys, grades 5 through 12. Irving is also home to The Highlands School, a university-preparatory school for pre-kindergarten through 12th grade. Two Catholic pre-k through 8th grade schools, St. Luke and Holy Family of Nazareth School, are in Irving. Irving also is home to the Islamic School of Irving (pre-k to 12). The Sloan School (pre-k to 5) and StoneGate Christian Academy (K4 to 12) are Christian private schools in Irving. The city is the site of the University of Dallas and North Lake College, a campus of the Dallas County Community College District. In addition, DeVry University has a campus in Irving. Several highways transverse Irving. The Airport Freeway, SH 183, runs east-west in the city center, while LBJ Freeway or I-635 crosses the city's northern edge in the same direction. John Carpenter Freeway, SH 114, and the President George Bush Turnpike create an X running northwest-to-southeast and southwest-to-northeast respectively. The Las Colinas area is centered near the intersection of 114 and the Bush turnpike. Irving is one of 13 member-cities of the Dallas region's transit agency, Dallas Area Rapid Transit (DART). Currently, Irving is served by numerous bus routes and has two stops along the Trinity Railway Express commuter rail route. In addition, DART's Orange Line through runs through Irving and Las Colinas to DFW Airport. This connects northern Irving with Dallas through rail in addition to bus routes. In 2015, 4.5 percent of Irving households lacked a car, which increased to 4.9 percent in 2016. The national average was 8.7 percent in 2016. Irving averaged 1.75 cars per household in 2016, compared to a national average of 1.8 per household. The Las Colinas Urban Center is served by the Las Colinas APT System, a people-mover that connects businesses and entertainment areas. ^ "City of Irving Texas". City of Irving Texas. Retrieved October 19, 2012. ^ "Education and Tax Information". cityofirving.org. Retrieved 21 September 2015. ^ "Meet Your Mayor and Council Members". cityofirving.org. Retrieved 21 September 2015. ^ "Meet the City Manager". cityofirving.org. Retrieved 21 September 2015. ^ "Population Estimates". United States Census Bureau. Archived from the original on April 17, 2016. Retrieved February 10, 2017. ^ a b "Irving (city) QuickFacts from the US Census Bureau". census.gov. ^ "Between the Forks". City of Irving - Irving Archives. ^ "After 25 years, D/FW Airport unveils memorial to Delta Flight 191". Fort Worth Star Telegram. 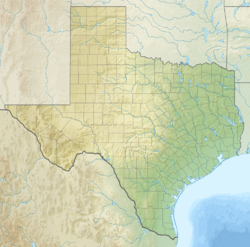 ^ "Timeline of Texas Prison Escape". web.archive.org. 2012-04-02. Retrieved 2019-02-21. ^ "Dallas/Fort Worth - All-Time Maximum and Minimum Temperatures". Retrieved 2015-09-17. ^ United States Census Bureau. "Census of Population and Housing". Archived from the original on May 12, 2015. Retrieved April 27, 2015. ^ "Annual Estimates of the Resident Population: April 1, 2010 to July 1, 2013". Archived from the original on May 22, 2014. Retrieved April 27, 2015. ^ a b "Irving (city), Texas". State & County QuickFacts. U.S. Census Bureau. ^ Data Access and Dissemination Systems (DADS). "American FactFinder - Community Facts". census.gov. Archived from the original on 2014-12-10. ^ a b c d e Data Access and Dissemination Systems (DADS). "American FactFinder - Results". census.gov. ^ a b c Data Access and Dissemination Systems (DADS). "American FactFinder - Results". census.gov. ^ "Hispanics in Irving feeling disheartened - Dallas Morning News - News for Dallas, Texas - News: Local News". archive.org. Archived from the original on 11 October 2007. ^ a b Brettell, Caroline B. '"Big D" Incorporating New Immigrants in a Sunbelt Suburban Metropolis' (Chapter 3). In: Singer, Audrey, Susan Wiley Hardwick, and Caroline Brettell. Twenty-First Century Gateways: Immigrant Incorporation in Suburban America (James A. Johnson metro series). Brookings Institution Press, 2009. ISBN 0815779283, 9780815779285. Start p. 53. CITED: p.60. ^ Brettell, Caroline B. '"Big D" Incorporating New Immigrants in a Sunbelt Suburban Metropolis' (Chapter 3). In: Singer, Audrey, Susan Wiley Hardwick, and Caroline Brettell. Twenty-First Century Gateways: Immigrant Incorporation in Suburban America (James A. Johnson metro series). Brookings Institution Press, 2009. ISBN 0815779283, 9780815779285. Start p. 53. CITED: p. 60-61. ^ "City of Irving Comprehensive Annual Financial Report for the Fiscal Year Ending September 30, 2018" (PDF). ^ "Investor Information" (PHP). Chuck E. Cheese's official site. CEC Entertainment, Inc. Retrieved 2009-03-03. ^ Pizza, CiCis. "Revitalized Cicis Steps up New Restaurant Openings". www.cicis.com. Retrieved 23 March 2018. ^ "CMC Corporate Headquarters Information". Retrieved 5 February 2015. ^ Writer, Deborah Fleck/Staff (April 2014). "Irving lands headquarters for American Eagle, which will be called Envoy". The Dallas Morning News. ^ "Contact our business headquarters - ExxonMobil". ExxonMobil. ^ "Contact an office". Retrieved 5 February 2015. ^ "HD Vest Financial Services". Retrieved 5 February 2015. ^ "Kimberly-Clark Corporation Company Information". Retrieved 5 February 2015. ^ "City of Irving Comprehensive Annual Financial Report for the Fiscal Year Ending September 30, 2008" (PDF). Retrieved July 20, 2009. ^ "3200 Hackberry — 7-Eleven Headquarters : Billingsley Company". billingsleyco.com. Retrieved 23 March 2018. ^ "Plant Listing". southernstarconcrete.com. Archived from the original on 8 September 2015. Retrieved 21 September 2015. ^ "Stellar Global Inc.: Private Company Information". Bloomberg. Retrieved 5 February 2015. ^ "Zale Corporation: Contact Zale Corporation". zalecorp.com. Retrieved 21 September 2015. ^ "Fluor Office Locations". www.fluor.com. Retrieved 23 March 2018. ^ "Contact Us". itwsealants.com. Retrieved 21 September 2015. ^ "Celanese - The chemistry inside innovation™". celanese.com. Retrieved 21 September 2015. ^ "LXI :: Contact Us". lxicorp.com. Archived from the original on 2014-07-03. ^ "Website Terms and Conditions of Use". scouting.org. ^ "U.S". Nokia Solutions and Networks. Archived from the original on 13 September 2015. Retrieved 21 September 2015. ^ "USA". nec.com. Retrieved 21 September 2015. ^ "Contact Information". blackberry.com. Retrieved 21 September 2015. ^ "Big 12 Conference Staff Directory". Big12Sports.com. Retrieved 21 September 2015. ^ "Conference USA Official Athletic Site - Athletics". conferenceusa.com. Retrieved 21 September 2015. ^ Kesmodel, David (3 November 2008). "Irving, Texas, Alcohol Ban Faces Nov. 4 Challenge". The Wall Street Journal. ^ "White Man's Burden - The Texas Observer". The Texas Observer. ^ "Still Segregating Voters". The Wall Street Journal. 14 May 2010. ^ "Live blog: Voters oust Spink, send Smith to runoff, reject 3 charter measures". Irving Blog. ^ Jan Hart. "Historical Sketch of Irving". City of Irving. Retrieved April 12, 2017. ^ a b c d e f g h i j k l m n o p q Lawrence Kestenbaum (ed.). "Mayors of Irving, Texas". Political Graveyard. Retrieved April 12, 2017. ^ "Meet Your Mayor and Council Members". City of Irving. Retrieved April 12, 2017. ^ "Meet Your Mayor and Council Members". Irving CVB. Retrieved May 23, 2017. ^ "System Error". parklandhospital.com. Archived from the original on May 16, 2008. ^ "Whitepages – Find People, Businesses & More". whitepages.com. Archived from the original on 2012-07-16. ^ "Find Locations". Retrieved 5 February 2015. ^ "About Us". Archived from the original on 5 February 2015. Retrieved 5 February 2015. ^ "Uplift Education - Charter Schools - Dallas / Overview". uplifteducation.org. Retrieved 21 September 2015. ^ "Uplift Campuses / Uplift Infinity Prep". uplifteducation.org. Retrieved 21 September 2015. ^ "Uplift North Hills Prep - Uplift Education - Irving / Overview". uplifteducation.org. Retrieved 21 September 2015. ^ "Irving Campus News". Winfree Academy Charter Schools. Archived from the original on 22 September 2015. Retrieved 21 September 2015. ^ "Irving Elementary School". Manara Academy. Archived from the original on 10 September 2015. Retrieved 21 September 2015. ^ "Cistercian Preparatory School". www.cistercian.org. Retrieved 23 March 2018. ^ "The Highlands School - PK - 12 Catholic College Preparatory School - Irving, TX, 75062". thehighlandsschool.org. Retrieved 21 September 2015. ^ "St Luke Catholic School - Irving, Dallas, TX". stlukeschool.us. Retrieved 21 September 2015. ^ "Holy Family Catholic Academy". ^ "Home - Islamic School of Irving". www.islamicschoolofirving.org. Retrieved 23 March 2018. ^ "Welcome to The Sloan School". thesloanschool.com. Retrieved 21 September 2015. ^ "StoneGate Christian". StoneGate Christian. Retrieved 21 September 2015. ^ "University of Dallas". udallas.edu. Retrieved 21 September 2015. ^ "Home - North Lake College". northlakecollege.edu. Retrieved 21 September 2015. ^ "DeVry University Irving (Dallas) Campus". www.devry.edu. 4 August 2015. Retrieved 21 September 2015. ^ "TRINITY RAILWAY EXPRESS (TRE)". ^ "DART RAIL ORANGE LINE". ^ "Las Colinas Area Personal Transit System (APT) link at the Las Colinas Urban Center Station". Retrieved 5 February 2015. ^ "Chris Adams (1955 - 2001) - Find A Grave Memorial". findagrave.com. ^ "Welcome - J.R.'s Family Bar-B-Q". jrsbarbq.com. ^ "Star Telegram: Search Form". newsbank.com. 21 August 1995. ^ "Jim Beaver Biography (1950-)". filmreference.com. ^ "Brian Bosworth". biographyinfo.org. Archived from the original on 2009-03-10. ^ "Official Site of the Houston Texans". houstontexans.com. Archived from the original on 2008-12-20. Retrieved 2009-02-13. ^ "David Garza Interview - El Paso Music Scene". www.elpasomusicscene.com. Retrieved 23 March 2018. ^ "Search". Mahalo.com. Retrieved 21 September 2015. ^ Hill, Gladwin (24 November 1963). "Evidence Against Oswald Described as Conclusive - Dallas Police Describe the Evidence Against Oswald as Enough to 'Clinch' the Case OFFICIAL EXPECTS NEW INFORMATION But Prosecutor Is Confident of Data for a Conviction-- Suspect Still Questioned Reports Photographs Had Rifle in Garage Wants to Talk Questioning Resumed - Front Page - NYTimes.com". nytimes.com. ^ "About Matt Rinaldi". mattrinaldi.com. Retrieved December 10, 2014. ^ "Gwyn Shea". cemetery.state.tx.us. Archived from the original on July 12, 2012. Retrieved October 12, 2009. ^ "USA Track and Field - Features, Events, Results - Team USA". Team USA. ^ "Kerry Wood Baseball Stats by Baseball Almanac". baseball-almanac.com.